Ahead of the launch of our newest publication, CannabisIndustryJournal.com, I interviewed Stephen Goldner, President of Regulatory Affairs Associates, regarding the possibility of federal oversight in the cannabis industry, namely direct FDA involvement via regulations. With experience as a forensic toxicologist and attorney, Stephen Goldner has worked over 35 years as a regulatory professional in the healthcare space. He has contributed to the approval of 230 drugs and medical devices serving as an FDA advisor. 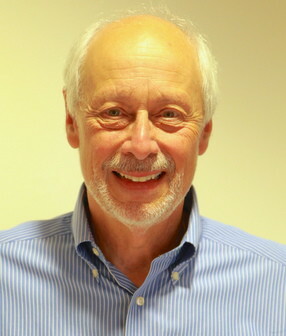 Steve is credited with the development of the liquid dose form of methadone and various screening tests for drug abuse. Food Safety Tech: Are state governments and marijuana businesses working jointly to handle the regulatory framework succeeding? Can you see, in the handful of states that have already legalized marijuana, a need for FDA regulatory guidance? Steve: To many people’s surprise, the states that have legalized marijuana are doing very well setting up a regulatory framework. Plus, the legitimate operations really want to succeed in business and provide safe and effective recreational and drug products. I’m surprised to hear myself say it, but FDA might be best served if it stayed out of this issue for a while. FST: What are some reasons why the FDA might want to get involved in the cannabis industry? Steve: Certainly if there were reports of injuries, but so far the marijuana products seem to be much less hazardous than other common recreational substances like beer and wine. But FDA also gets involved when there are outrageous claims that products cure diseases like cancer. I expect FDA will act against cannabis distributors who make those claims, even if they only distribute their marijuana within one state. FST: What are some reasons why the FDA might want to let this social experiment run a little longer? Steve: Thousands of people have gone to jail or otherwise had their life ruined because of small amounts of this product being used or being sold. If it turns out, as the data appears to show, that marijuana is not a ‘gateway drug’ to other drugs, and it’s use is fairly harmless, then FDA stepping in will probably just send most of the users and growers into the black market and then nothing will have been gained. FST: What actions might you suggest the FDA take in the near future as more states continue to legalize marijuana? Steve: Great question! FDA is excellent at monitoring data, along with the CDC. If FDA sees a real health hazard problem, it can convene a panel of experts to offer solutions. And then monitor the situation to see if growers and producers of marijuana edibles can adopt those solutions into their business practices. With the 2016 elections fast approaching, we hope to see major changes coming soon in the federal government’s position on marijuana. We want to hear your thoughts! Do you think the federal government should step up their involvement? What actions or inactions would you like to see the federal government take? Do you think the FDA should chime in? Post your questions or thoughts in the comments section below. Knowing the government’s increased focus on food safety means companies must continually be audit ready with program sustainability as a focus for management and employees alike. Commitment to food safety and a sound preparation plan is key for facilities as they navigate through the increasing food safety regulatory oversight. Food safety funding has been a major focal point for the FY 2016 budget proposed by President Obama. Primarily due in support of the fact that all major Food Safety Modernization Act (FSMA) rules are scheduled to take effect by the end of FY 2016, the increased focus will impact each of the agencies governing food safety within the US and all entities which fall under their jurisdiction. 1. There will be a sizeable increase in the allocation of food safety funding. President Obama’s $3.99 trillion FY 2016 budget proposal allocates $1.6 billion for food safety, a significant increase in food safety funding over previous years. This would include increases of $301 million for the U.S. Food and Drug Administration (FDA) to support new measures under the Food Safety Modernization Act (FSMA), resulting in a $109 million increase over the previous year as well as an additional $2.1 million increase to the Centers for Disease Control and Prevention (CDC) over FY 2015’s $48 million allocation going towards food safety. USDA budget requests would decrease slightly for FY 2016, requesting $1.012 billion vs. $1.016 billion for the previous year’s budget as a result of program related cost savings and correlated efficiencies and expects that a portion of the $2.9 billion for agricultural research and extension activities would support additional food safety requirements set forth by FSMA. 2. The proposed increase in food safety funds would include a prioritized food safety spending plan. 3. The plan also includes a proposed single food safety regulatory entity. In addition to the increase in funding, the new plan outlined by President Obama also asks for Congress to combine several programs overseeing US food safety into a single agency under the Department of Health and Human Services (HHS). Advocates of the plan state that the combination would provide “focused, centralized leadership, a primary voice on food safety standards and compliance with those standards, and clear lines of responsibility and accountability”, citing the current food safety system as being fragmented and outdated. Currently, a total of 12 agencies enforce 30 different laws. An alternate proposal has also been put forth by two members of congress which would suggest the formation of a new food safety agency independent of HHS. How does this affect your facility? Knowing the government’s increased focus on food safety means companies must continually be audit ready with program sustainability as a focus for management and employees alike. Commitment to food safety and a sound preparation plan is key for facilities as they navigate through the increasing food safety regulatory oversight. To learn more about the food safety allocations within the proposed FY 2016 budget, visit http://www.fda.gov/Food/GuidanceRegulation/FSMA/ucm432576.htm and http://www.usda.gov/wps/portal/usda/usdahome?navid=BUDGET.